Jason. Jason arriving at a VIP screening of I Love آپ Man.......You know I love Jason to pieces, but he kind of looks like a hobo here. No offence =P. 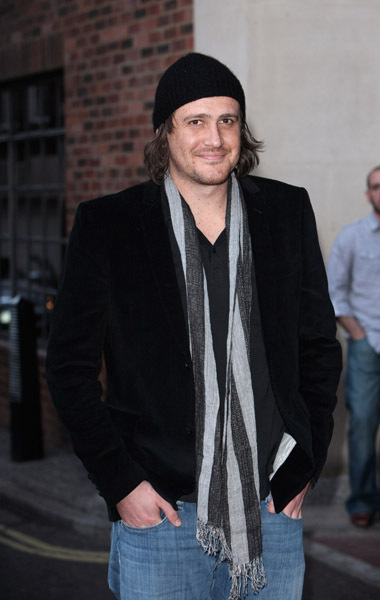 Wallpaper and background images in the Jason Segel club tagged: jason segel vip screening i love you man movie image 2009 photo. This Jason Segel photo contains کاروبار سوٹ and بزنس سوٹ. There might also be سوٹ, کپڑے کا سوٹ, اچھے کپڑے پہنے شخص, سوٹ, پتلون سوٹ, pantsuit, اچھی طرح کپڑے پہنے ہوئے شخص, پنٹساٹ, تین ٹکڑا, and تین ٹکڑا سوٹ.